Baccarat/Punto Banco: Does offering 9 to 1 Ties, win more money? Poll: Would offering 9 to 1 for Ties generate a higher win than offering 8 to 1 ? Would offering 9 to 1 for Ties generate a higher win than offering 8 to 1 ? Just recently I'm coming across more Baccarat/Punto Banco games offering 9 to 1 on the Tie bet. The traditional payout is of course 8 to 1 and this gives the house a massive 14.36% advantage on an Eight Deck game. Offering 9 to 1 cuts the house edge down to 4.84%. 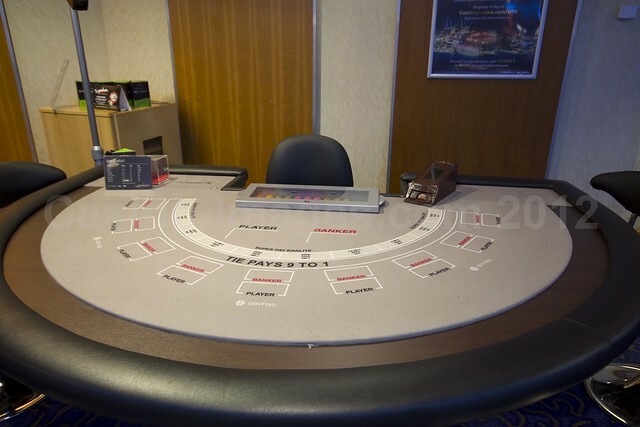 Lets imagine that we already have a casino with a couple of games that see plenty of action almost all of which is either on Bank or Player and the game holds between 10 & 11%. Would the tables actually hold more if the 8 to 1 Tie Bet was upped to 9 to 1 ? What do you think and how did you vote ? Probably wouldn't have a significant impact or increase on the hold because most serious players don't bother playing the tie bet. I think funtastic has a point for UK based operations but in most other places I've worked the tie gets far more play and for much higher stakes. So in answer to the question I believe the hold would increase by making the bet a more attractive proposition.